The host can designates who to be co-hosting which they can add more videos and facilitate the session. Watch Party lets anyone in the session suggest videos for the host and co-hosts to add to the session. As the goal for Facebook right now is to create more meaningful interaction, this option is aimed to just do that. For business, Watch Party could be great use when it comes to raise awareness with group interaction. Providing new video content from the brand to promote in the group with Watch Party is a great way to boost interest. However, this is only a terrain reading. It has an initial positive feedback, but the video content itself has to be good in order to boost interest. In this case, plan your video, make sure it interact well with your audience and Watch Party will be your great option. Both Youtube and Facebook are introduced ways to create more engagement of live video which seems to be their focus currently. As we already know that Youtube has launched “Premiere” which functions as same as Facebook Watch Party aiming to re-create the live experience with pre-recorded content. 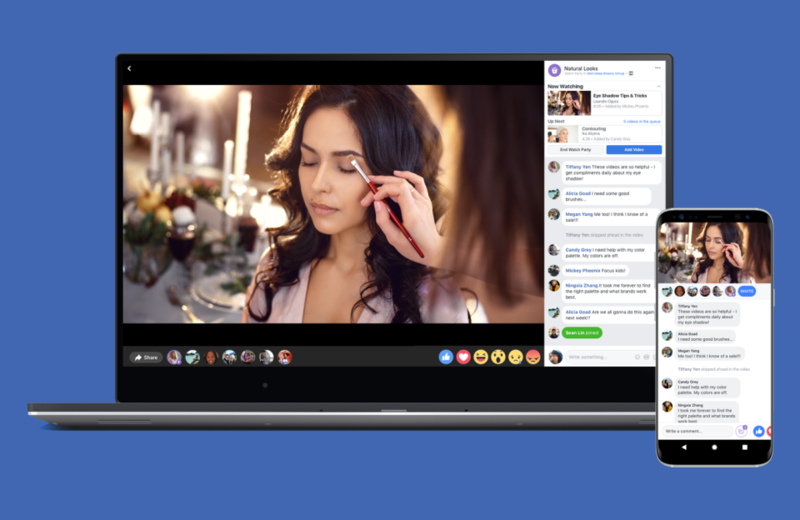 When it comes down to accessibility, Facebook Watch Party can be used by any users on Facebook group while Youtube Premier only available to the creators who have 100k subscribers or more.